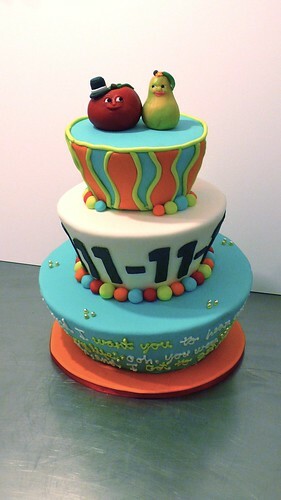 11-11-11 Carnival Themed Wedding, a photo by CAKE Amsterdam - Cakes by ZOBOT on Flickr. Apple and Pear themed crazy carnival 11-11-11 wedding! This cake was delivered to POMPSTATION in amsterdam. A great location to get married and throw a party! AND the staff there is AMAZING!